Panama fine hat ready to be pressed and to receive the last with the size of the client. 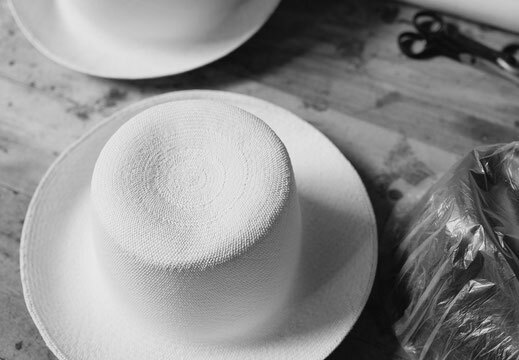 We manufacture Panama hats in sizes for men, women and children. Personally, I prefer to handle the diameter of the head as a size, at the middle height of the forehead. This measure ranges from 57 to 63 centimeters in an adult male. For an adult woman, we can place these measures between 57 and 60 centimeters. Occasionally, I also make larger or smaller sizes on demand. The hat should come in softly, without the need for any force. It should not leave a mark on the forehead. It should not come out of the head with the breeze of an afternoon in front of the sea and should not fall when bending down. This is a perfect fit. If any of these things sounds familiar, you should change the size of your hat. 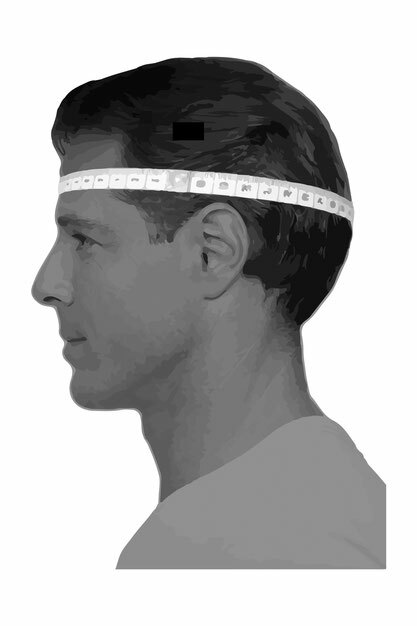 In case you don't know your size, you should take a tailor's measure tape (those that are not metallic, but of a plastic or textile material) from the tip of the 0 and surround your head by the middle line of your forehead. At the back, you also trace a natural line between the crown of the head and the nape of the neck. 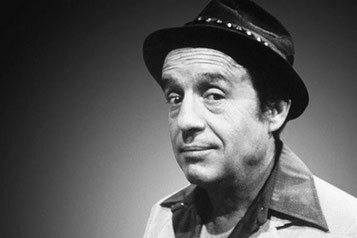 Neither too high as a Marine, nor too low as the brilliant Roberto Gómez Bolaños. If you have any questions, you can follow our guide to take the right measure, we also recommend that you ask someone for help so the measure is perfect.